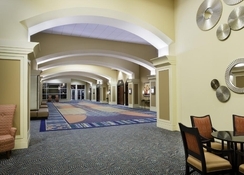 The Rosen Centre Hotel Orlando is a luxurious family-friendly property located next to the Orange County Convention Center, within minutes from popular attractions such as SeaWorld, Universal Studios and Walt Disney World. 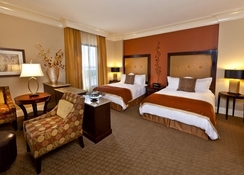 The well-furnished rooms and contemporary suites ensure guests have a pleasant stay and complimentary Wi-Fi is included. The Rosen Centre Hotel's central location and close proximity to world-famous parks makes it one of the top accommodation spots in Orlando, but you don't have to leave the hotel to find entertainment. 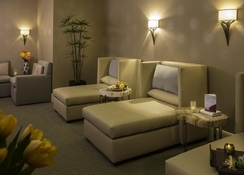 Indulge in the hotel spa, splash in the swimming pool and enjoy excellent restaurants and bars including Everglades, Banshoo and Red's Deli for delicious food and drink and a world-class ambience. 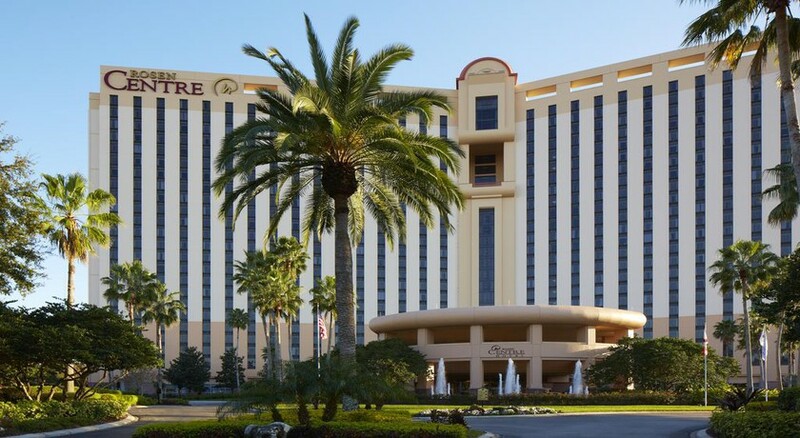 The Rosen Centre Hotel is located next to Orange County Convention Center and is within close proximity of other tourist attractions. Universal Studios and Walt Disney World are a short drive away. 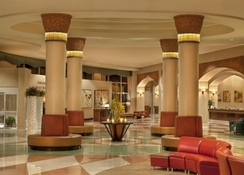 Pointe Orlando, which houses many cafes, shops and restaurants is few minutes’ walk too. 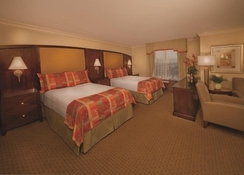 The Rosen Centre Hotel Orlando is a 24-storey complex boasting over 1,000 guest rooms. The rooms come in Hospitality Suite, VIP Suite, Executive and Presidential suites and are all elegantly furnished in modern décor and come with en suite bathrooms, satellite TV, twin beds, meeting area, refrigerator and microwave. Laundry and room service are also available. This is a non-smoking hotel. With four on-site restaurants including a 24-hour deli Rosen Centre Orlando takes special care to indulge the guests’ palate. Everglades is well known in the city for its succulent seafood and steaks. Banshoo, offers sumptuous Japanese cuisine including sushi rolls, fresh sashimi and other seafood dishes. At 98Forty Tequilas, a wide variety of Mexican delicacies and tequilas are served. Harry’s Poolside Bar and Grill is also a great snack point, serving alcoholic and non-alcoholic drinks and light-bites by the pool in a relaxed ambience. 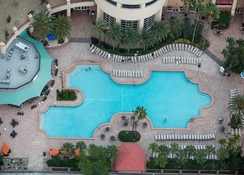 Rosen Centre Orlando has an outdoor pool where guests can relax and soak up the sunshine, or let your hair down in the sumptuous hotel spa. Shuttles are available to all the major parks including Universal Studios Orlando, SeaWorld and also entertainment and attractions such as the Florida Mall shopping centre. A $350 (plus local tax, subjected to change) cleaning fee will be applied to guests who will not follow the policy in the guestrooms.